Fifty Shades Film: New Times Best Seller for 21 Weeks in a Row! 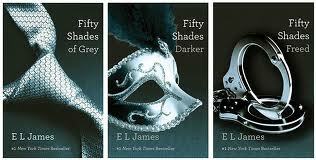 Fifty Shades of Grey takes the top three spots again on the New York Times best-sellers list posted today. That's 21 weeks in a row! !